Oceans make up 97% of the world’s supply of water. Desalination using seawater reverse osmosis (SWRO) membrane technology has become a viable option for the development of new regional water supplies. 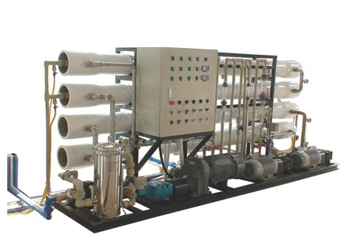 ZION ENVIRO is the world leader in the supply of reliable seawater De salination Systems. ZION ENVIRO’S desalination projects range in size from small 2,000 cubic meter/day. With over 10 years of experience ZION ENVIRO leads the industry in its practical knowledge of SWRO membrane design, SWRO membrane pretreatment design, SWRO membrane cleaning techniques, energy recovery devices and the selection of material of construction.